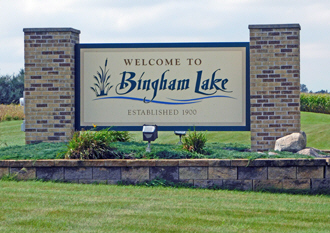 Bingham Lake is a city in Cottonwood County. According to the United States Census Bureau, the city has a total area of 0.75 square miles (1.94 km²), all of it land. Minnesota State Highway 60 serves as a main route in the community. The elevation is 1,421 ft (433 m). As of the census of 2010, there were 126 people, 55 households, and 34 families residing in the city. The population density was 168.0 inhabitants per square mile (64.9/km2). There were 63 housing units at an average density of 84.0 per square mile (32.4/km2). The racial makeup of the city was 96.0% White, 0.8% Asian, 2.4% from other races, and 0.8% from two or more races. There were 55 households of which 27.3% had children under the age of 18 living with them, 54.5% were married couples living together, 3.6% had a female householder with no husband present, 3.6% had a male householder with no wife present, and 38.2% were non-families. 34.5% of all households were made up of individuals and 18.1% had someone living alone who was 65 years of age or older. The average household size was 2.29 and the average family size was 2.97. The median age in the city was 46 years. 24.6% of residents were under the age of 18; 1.6% were between the ages of 18 and 24; 20.8% were from 25 to 44; 34% were from 45 to 64; and 19% were 65 years of age or older. The gender makeup of the city was 53.2% male and 46.8% female. BINGHAM LAKE, a city in Lakeside Township, sections 9 and 16, platted July 28, 1875, incorporated February 26, 1900, and separated from the township, "was named from a nearby lake. The lake was named by the United States surveyor, for Senator K. S. Bingham, of Michigan." Kinsley Scott Bingham was born at Camillus, N.Y., December 16, 1808; removed to Michigan in 1833 and engaged in farming; was a representative in the state legislature, 1836-40; was a member of Congress, 1847-51; governor of Michigan, 1855-59; and a U.S. senator, 1859-61, until his death at Oak Grove, Mich., October 5, 1861. The first permanent settler was Daniel C. Davis, who with Rufus P. Mathews established all the corners of the townsite. Davis opened the general store; the post office began in 1871 with Mathews, first postmaster. The village had a station of the Chicago, St. Paul, Minneapolis and Omaha Railroad. Post Office: The Bingham Lake Post Office was open from 5/15/1871 to 9/23/1995. 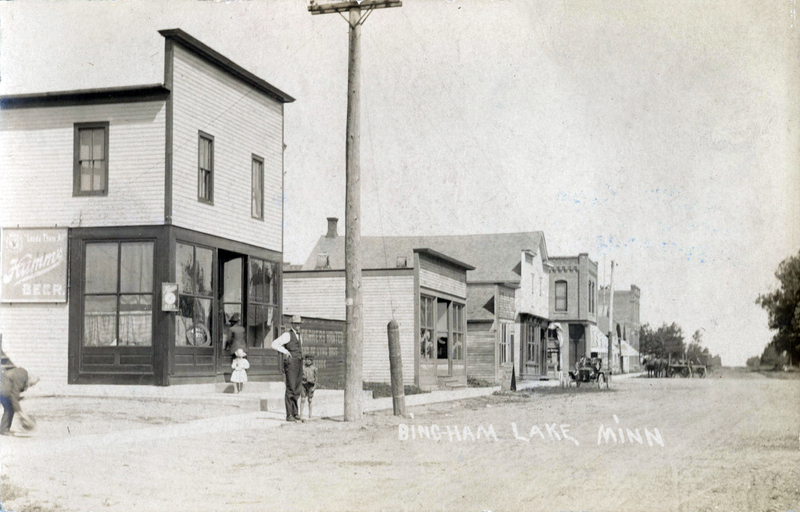 Bingham Lake is now served by the Windom Post Office. Through the dedication of our employees, our contract farmers and producing partners, Christensen Farms responsibly provides wholesome, safe, nutritious food to nearly 15 million people around the world. We are one of the largest, family-owned pork producers in the United States with a reputation for industry leadership, a commitment to ethical practices and a team of passionate people invested in bringing high quality pork to family tables. 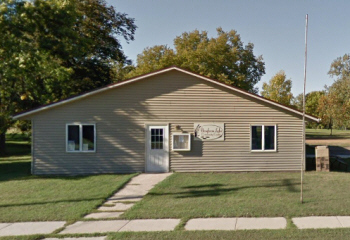 On December 1, 2000, two strong, locally-owned cooperatives unified to form Country Pride Services Cooperative: the Cooperative Oil Association of Mountain Lake, a consumer cooperative established in 1933, and Windom Cooperative Association, a farm supply cooperative established in 1937. 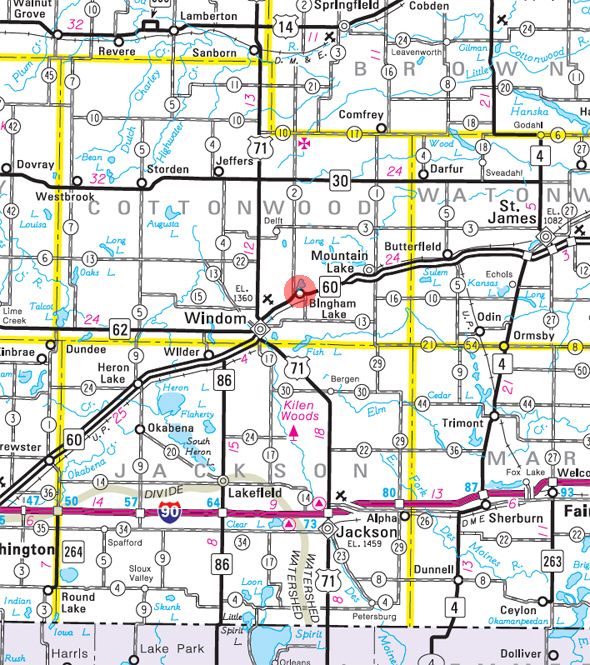 Prior to the unification vote in early September 2000, Cooperative Oil of Mountain Lake and Windom Cooperative Association purchased the Cargill facility in Bingham Lake. In 2003, Country Pride Services Cooperative built a new office and 23,000 ton hub fertilizer plant on the former Cargill site in Bingham Lake. Welcome to Miller Sellner. We carry one of the largest selections of Case IH farm equipment and Can-AM and Ski-Doo power sports products in Minnesota, serving Brown, Cottonwood, Nicollet, Blue Earth, Watonwan, Martin, Jackson, Murray, Lyon, Lincoln, Pipestone, Rock, Nobles & Redwood Counties! We're happy to help you find either the perfect atv, side by side, utility vehicle, snowmobile recreational vehicle or the parts you need. 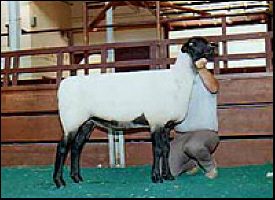 Check out our New Equipment page to see what we have. If you need help in making your selection, call or stop in—we're always ready to help! 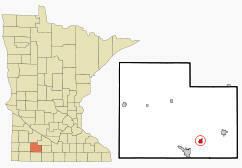 POET Biorefining - Bingham Lake, MN, produces 35 million gallons of ethanol annually. It was originally designed and built by POET in 1997 as an 11 million gallon facility but expanded in 2001 to its current capacity. Ethanol production by POET Biorefining - Bingham Lake consumes approximately 12 million bushels of corn from the region and provides not only an environmentally friendly fuel, but also 93,500 tons each year of valuable high quality livestock feed for local, regional and national markets.